1. Cut out a piece of plastic bottle. If it is too big for your hand or too small you may cut the plastic ring to make a strip out of it. This would let you make the ring smaller or bigger. 2. Use pricker to prick holes all around the plastic ring or strip from both sides. The holes should be placed near the endge on each side. 3. 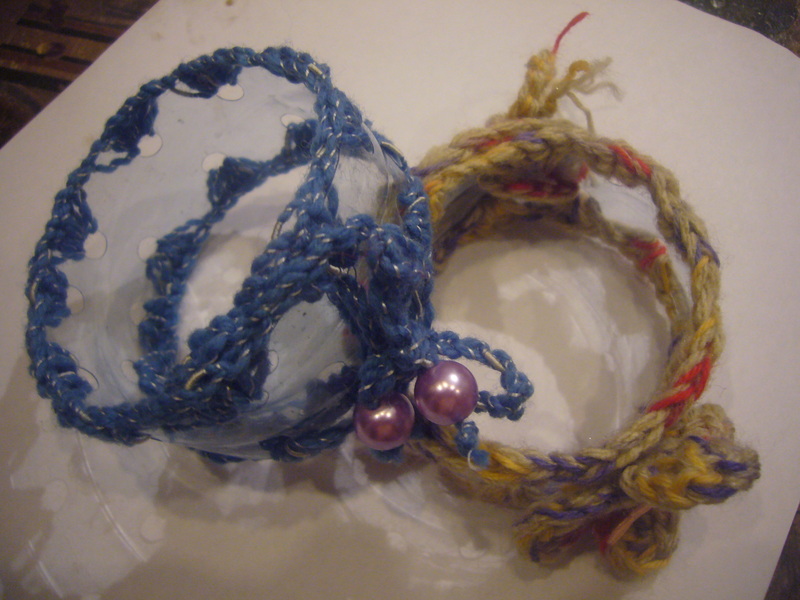 Use crocheting hook and yarn to crochet your DIY bracelet all around. I make three crochets into each hole. If i’ve made holes too wide apart, I make few chain crochets to bridge the gap between the two holes. Go in a circle all around the bracelet. This way you get two rows of crochet on each side of it. 4. Make a crocheted chain to fasten the bracelet and decorat it with beads. 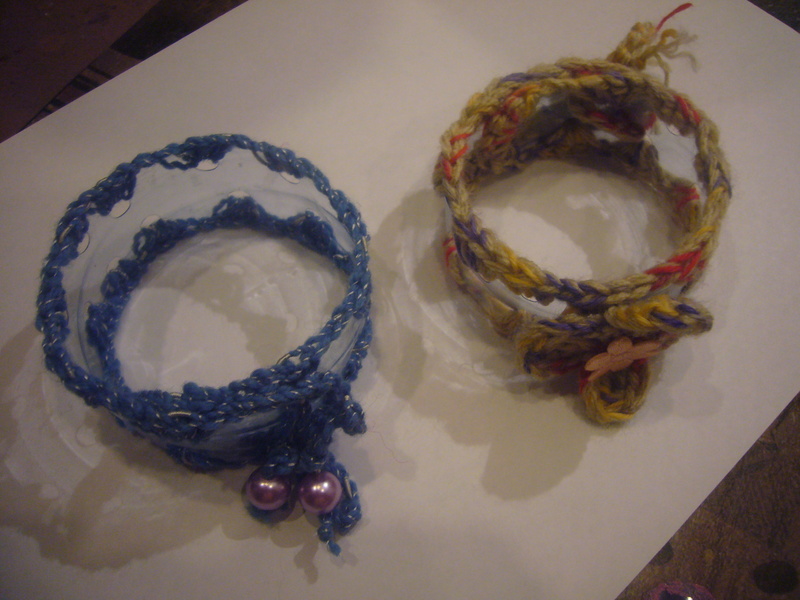 Or crochet a flower to decorate the bracelet. This is an easy craft and a green one, as you repurpose and upcycle things we usually throw away. Plastic bottle crafts have much to offer and most projects are pretty easy to do. I’ve spent about 10 min doing each of these DIY bracelets. This entry was posted in Crafting Tutorials, Crocheting, Handmade jewelry and tagged crafting, crafts, creative tips, crochet, crocheting, DIY, DIY bracelet how to, green living, handmade, handmade jewelry, home decor, plastic bottle, tips for moms, upcycling. Bookmark the permalink.